A week or two (maybe three), you may have noticed a change to my blog. I changed the theme and added a logo/ painting to the topof the site. 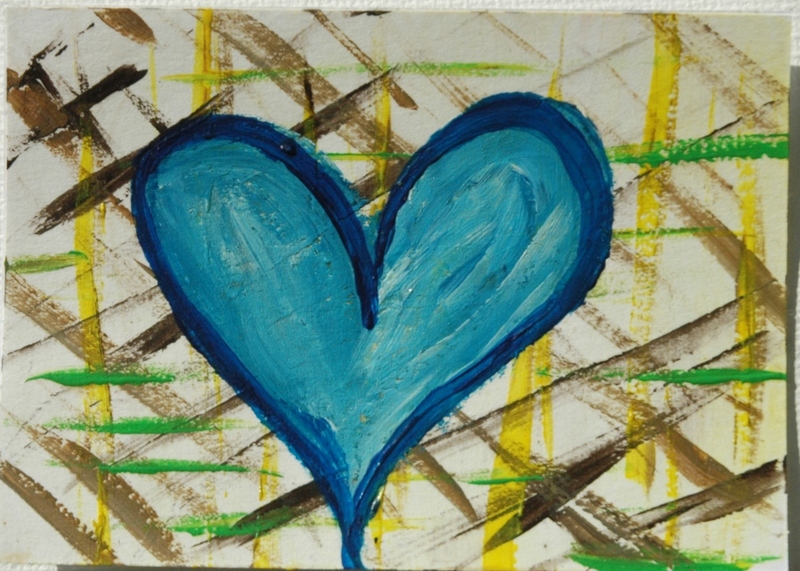 This same painting is on my YouTube channel, twitter profile, and Facebook page as backgrounds. This painting was a fun one to do, because the only rule I gave myself was that it had to represent me in some way. I used my favorite color combination, which is blue and yellow. I tried to add in something other ones, but it the end it was blue and yellow that lasted. I also made sure to throw in some wave looking things at the end, since I love the water so much. I recorded myself painting this video and sped it up. Then I added The Beetle’s song From Me To You. 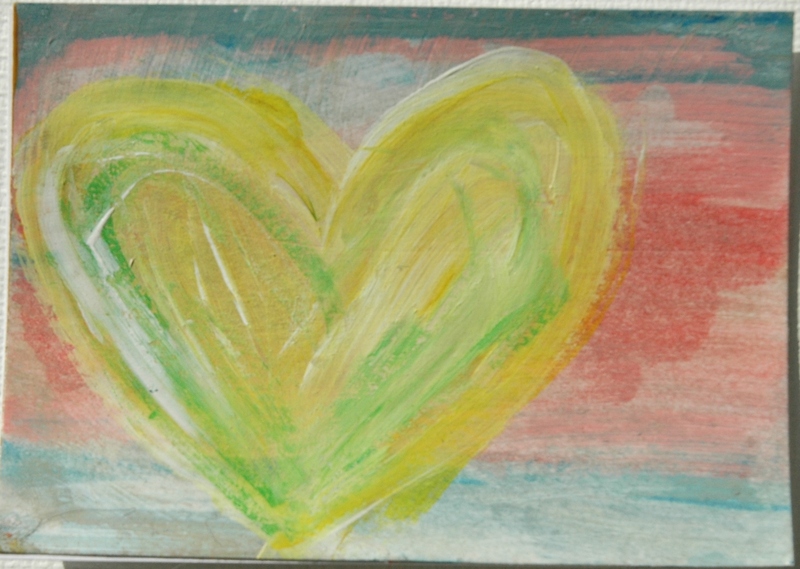 So take a minute or two to watch this painting that is a little part of myself that I give to you. Thank you for reading, watching and generally supporting me. Please let me know what you think. I normally do not like posting twice in one day, but I just finished an abstract painting that is very different from the other post so thought I would share it with you. I started this painting with it vaguely in my mind, but I was not sure how it would come out. 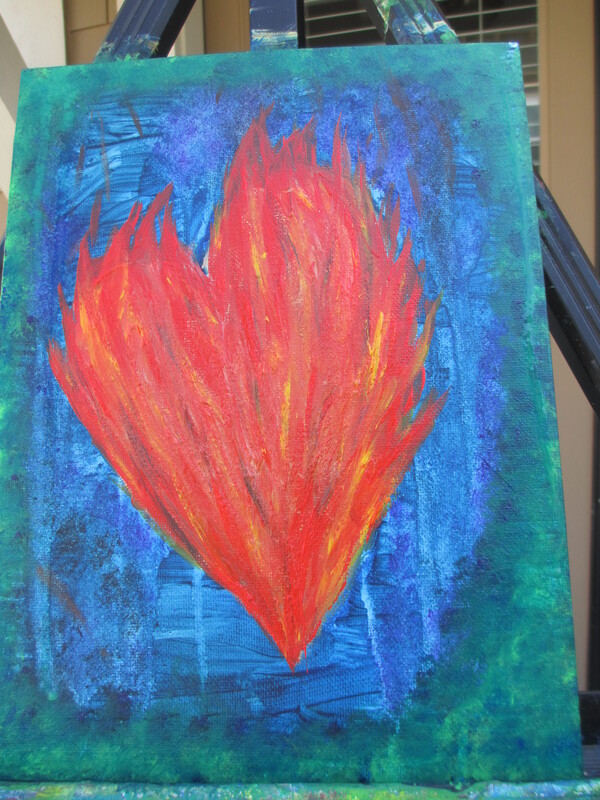 I never tried to paint a heart on fire before. I do like how it came out. The purpose of this painting is to display the passion that is in at least my heart that shines even when the surroundings are dark. The video is the recording of me painting it and the pictures are of the finish product (in case you could not tell). I have posted the last three paintings I did on eBay. As of right now they are all being auctioned. The ones that are left after the auction is complete will be sold on eBay. Reason: It had the urge to paint, like I try to do every weekend. 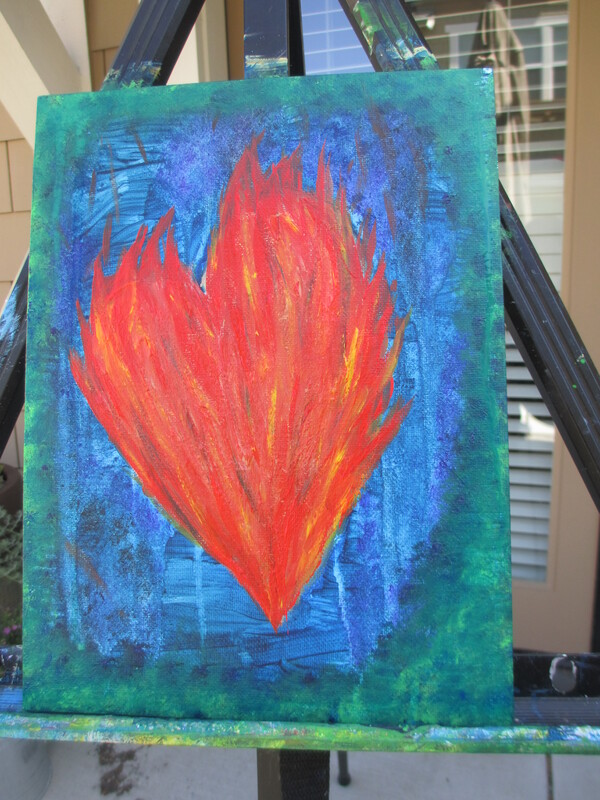 When I sat down to paint I decided to paint something different from my last 2 paintings. 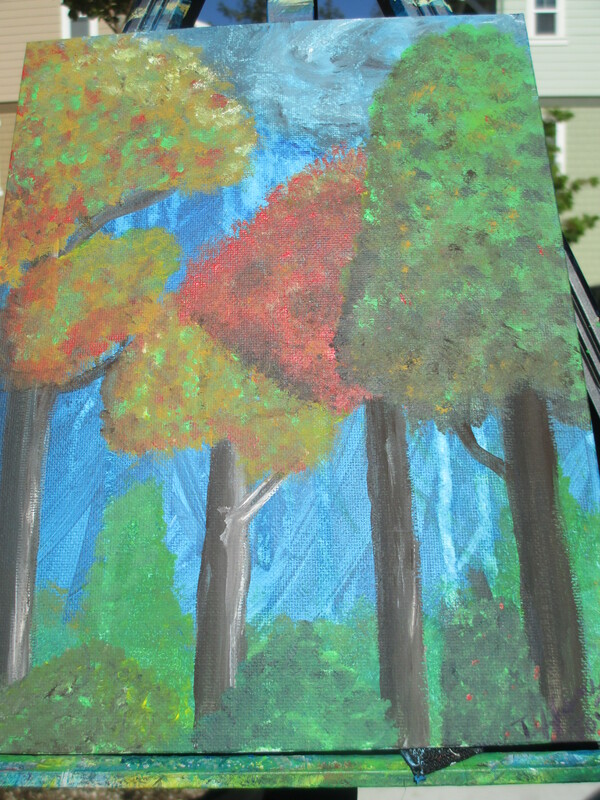 I thought it would be abstract when I started, however it quickly became a forest. 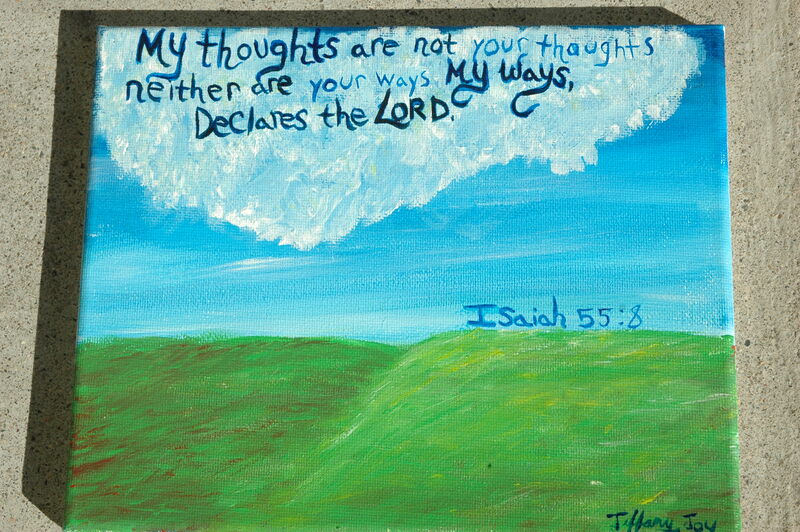 My Artist Statement: I, Tiffany Joy, work with the written word, visual art, and acting to spread basic truth and highlight God’s love in hopes that I can brighten someones day and spread the loving gospel of God. Reason: After painting the piece “Islands” I wanted paint another piece, again while recording myself and in one sitting. This is the second piece I did in said format and the first Sunrise/ Sunset painting I have done. My Artist Statement:I, Tiffany Joy, work with the written word, visual art, and acting to spread basic truth and highlight God’s love in hopes that I can brighten someones day and spread the loving gospel of God. Reason: I wanted to experiment with painting a piece in one sitting and recording myself painting. This is the finish product of the experiment. You can of course watch me painting these pieces on my youtube channel. All weekend I have been thinking about this blog. What would I write? What should I write? What did I do this week to take steps towards my dreams? Did I actually do anything that made me dreamward bound? I did not have an answer to these questions, until today. I realized that I did not do anything to move me towards my dreams, instead I enjoyed my time. I worked hard, hung out with friends, went to my improv group, was able to take two friends out to dinner one night, and went out with my “Friend-Family” another night. I was able to celebrate birthdays with two close friends and had fun. Instead of focusing on what my life could be, I simply enjoyed my life as it is. Yesterday I spent the afternoon painting and decided to paint a full piece. 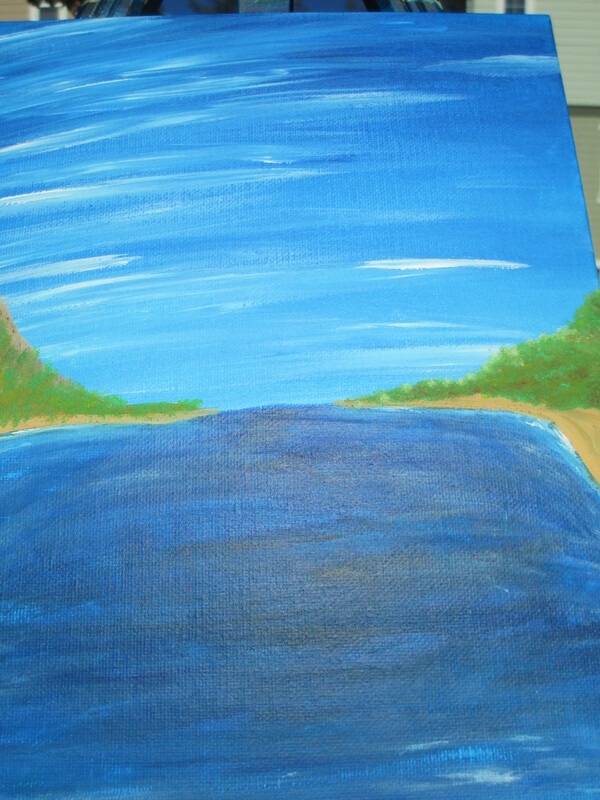 I painted it from beginning to end all in one sitting, which took about an hour. I also decided to record this process and see what it looks like to paint. I sped it up, put a good song in the background and posted it on youtube. The song that is playing is Regnia Spektor’s Hotel Song and can be found on her album Begin to Hope, which was released in 2006. For more on Regnia Specktor her website. I feel like lately I’ve only been posting about my painting and most of you started to follow my blog while I posted my poems. I will be getting back into the rhythm of writing poetry soon, hopefully this week. That being said I have been focused on painting more lately and some have started following this blog after I posted my art. Here is what I’ve been working on and posted on eBay this week. 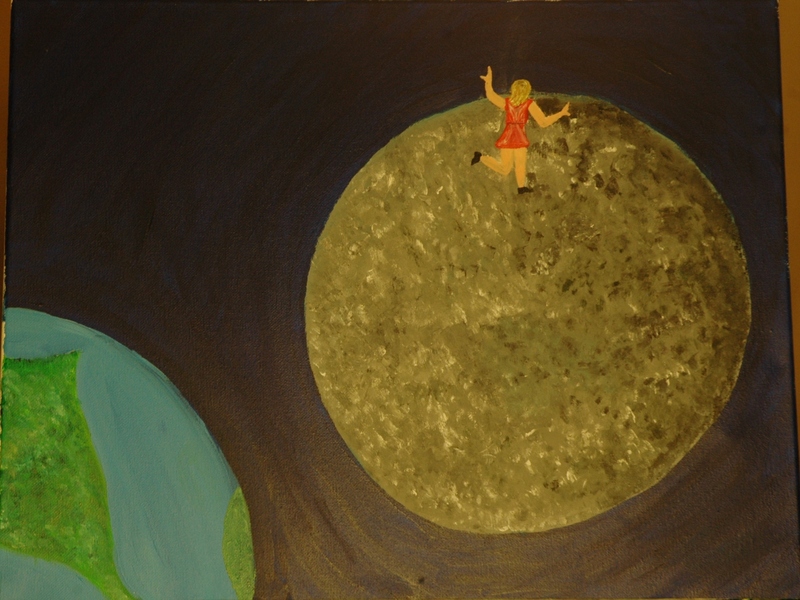 I added to my Dance On The Moon painting to give it more depth and character. This is a 20 inch by 16 inch acrylic painting on canvas. 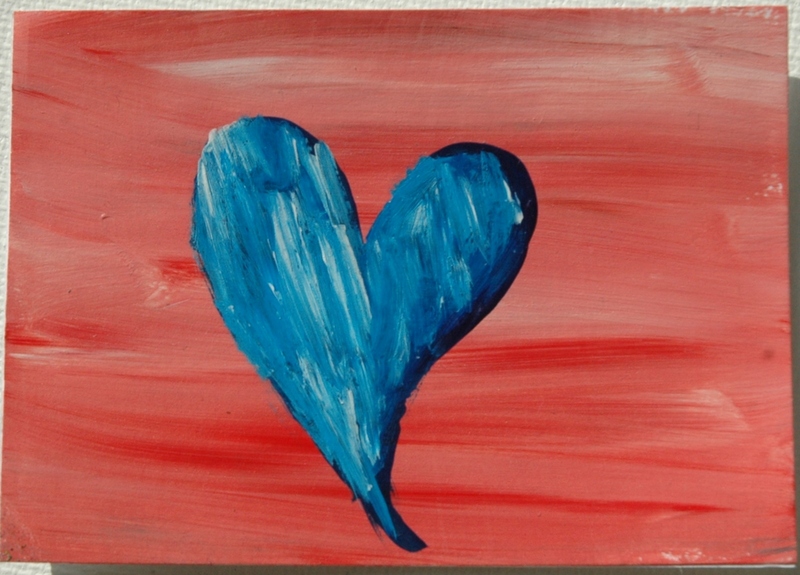 All other paintings this week are artist trading cards which are 2.5 inch by 3.5 inch and are reinforced card stock (so 2 ply card stock) acrylic paintings. 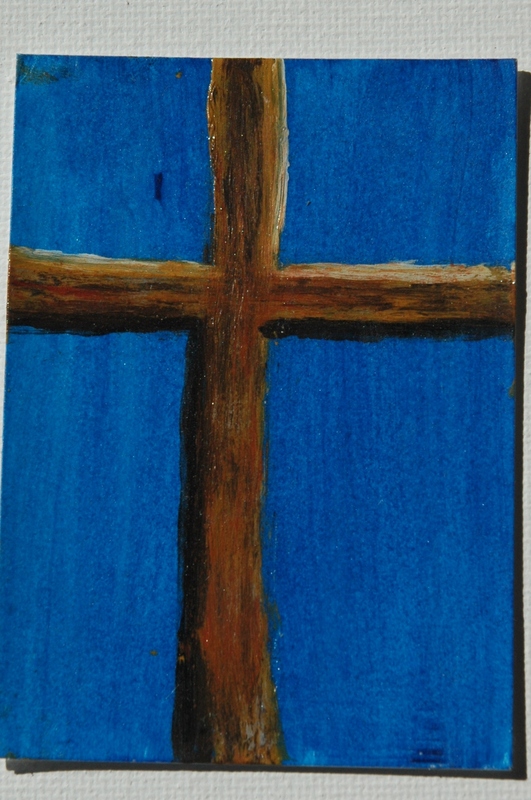 The first group is in my series Cross, which are simply crosses done on different backgrounds with different textures of the cross. 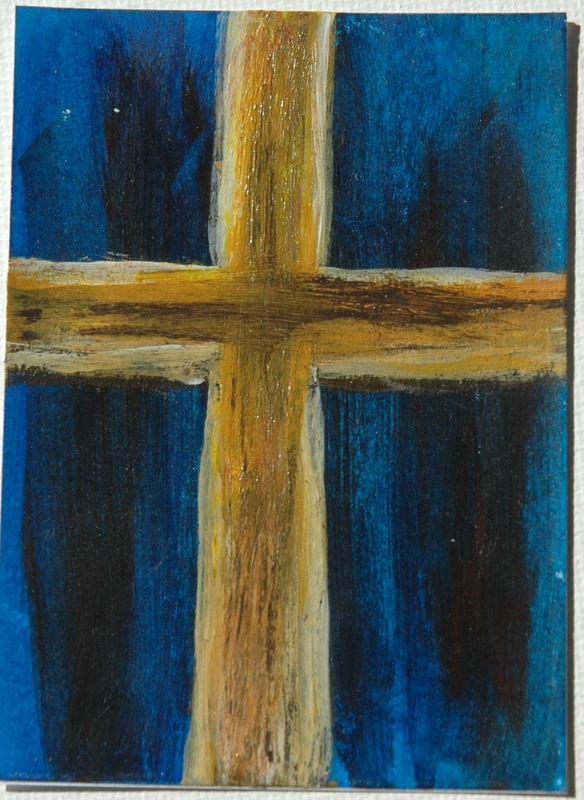 Each on is unique just like each person’s struggles and reasons to go to the cross are unique. 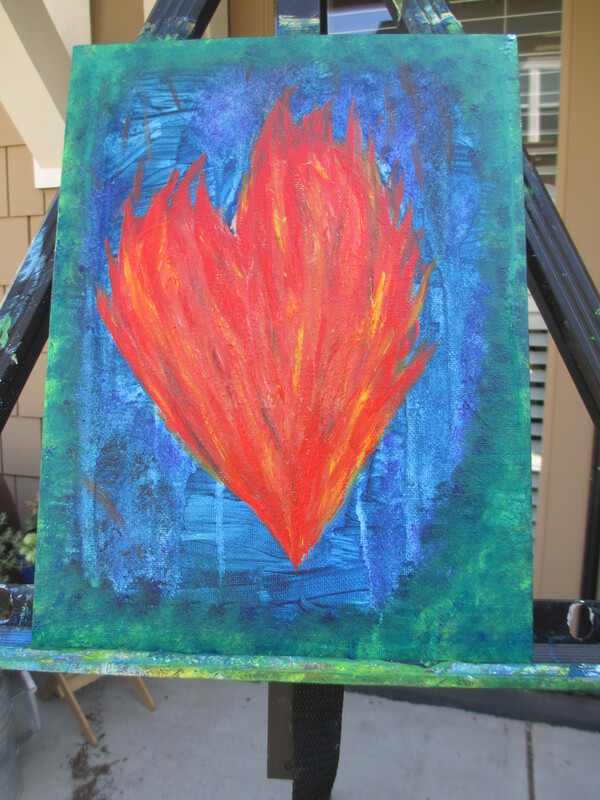 We now come to my latest series called What’s your heart? This series highlights and celebrates each person’s heart and background. We are all different with different lives to live and different ways we show are love. So what’s your heart? I wanted to let everyone who follows my blog know about my new giveaway program. 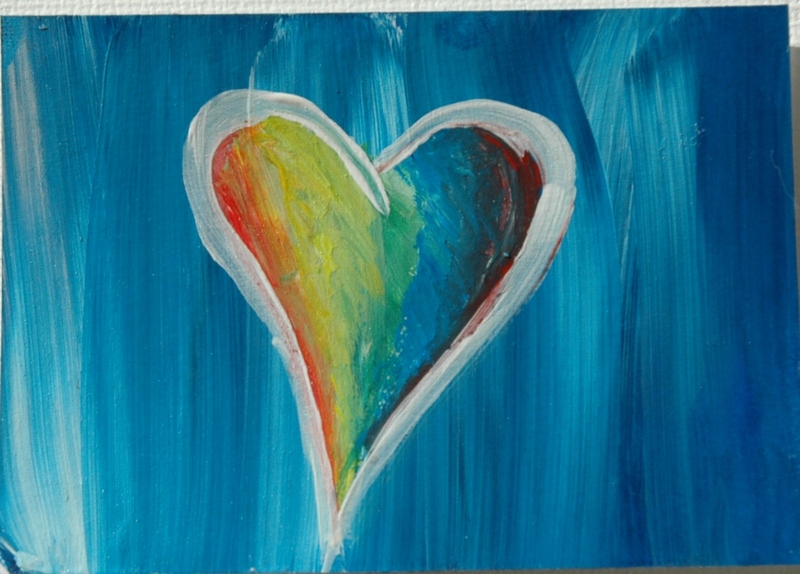 I have started to give away miniature paintings done. Each give away will be one ACEO or art trading cards, which are the size of baseball trading cards or standard playing cards. I will be posting them on my FB page, so like my page and stay tuned. How this will work, for right now at least, the first person to comment on the post with the ACEO will be mailed the card. When that one is given away I will post another one. My hopes for this giveaway program is to get my name spread and share my art with as many people as I can. 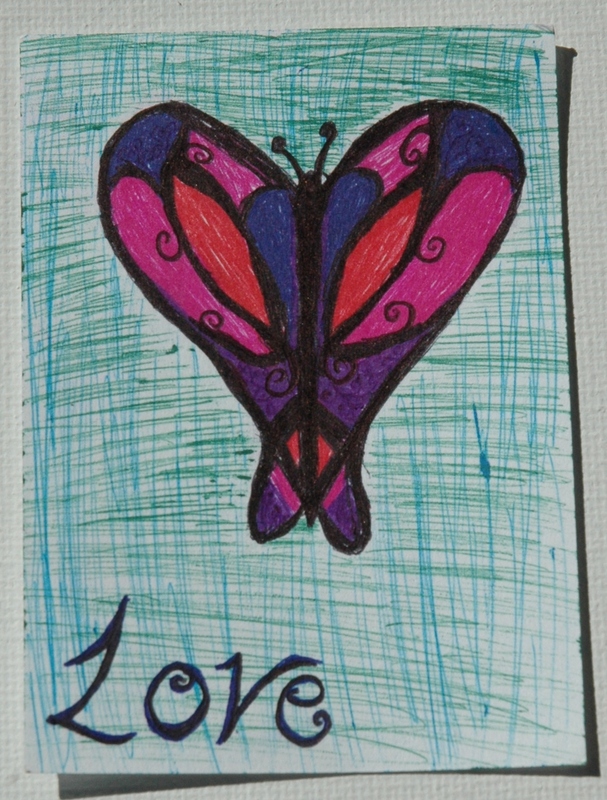 The first giveaway has started and is called Butterfly Love. This was done in ink with the majority of the work done on an airplane flying towards the east coast after my last vacation to California. 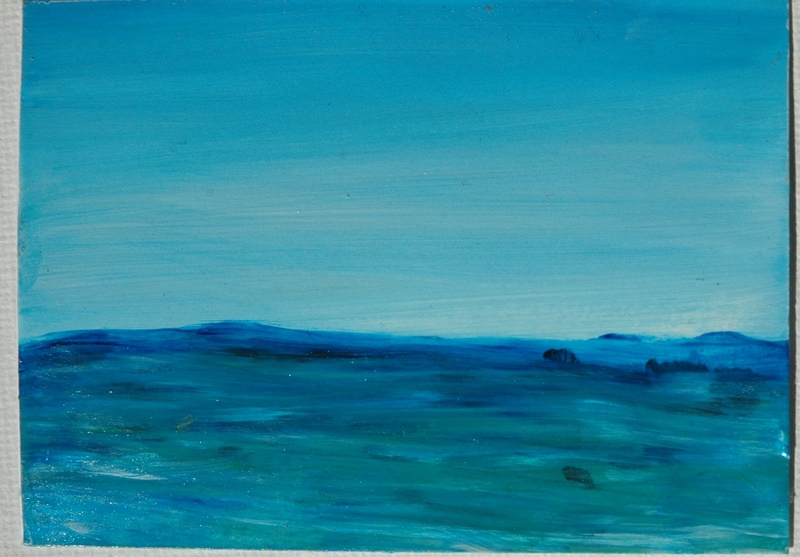 I finished two paintings this week, both were California landscapes. 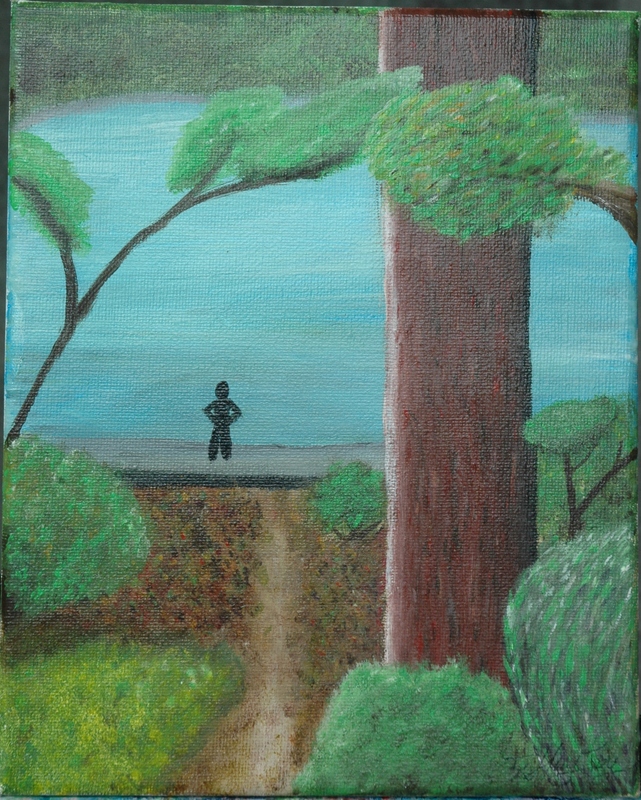 Tree Along The Path is an original acrylic painting, done on canvas. It is ten (10) inches wide and eight (8) inches tall. This work of art was completed on September 28th 2013 and is signed by the artist. 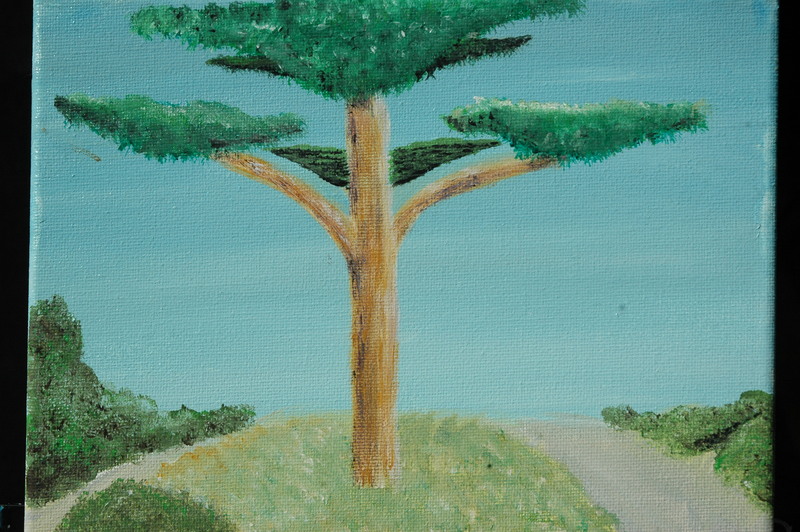 The subject of the painting is a tree that can be found on West Cliff drive in Santa Cruz, California. 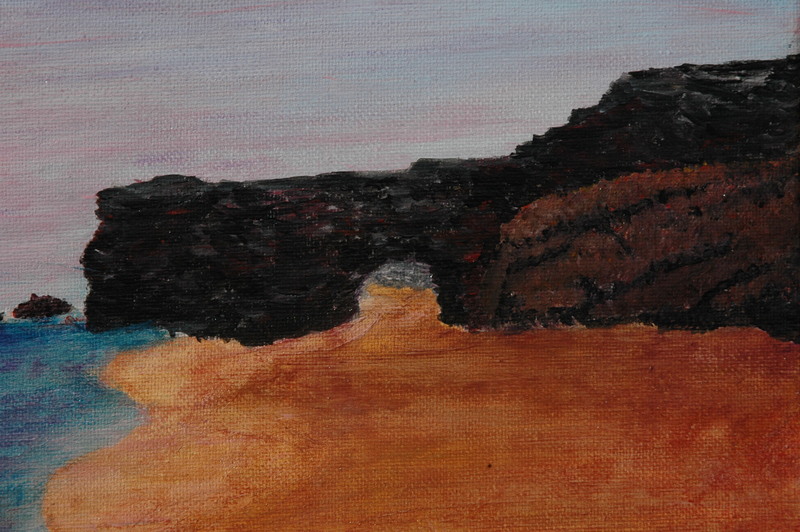 This painting is of a beach while the sun is slowly setting to the left. The main focus is the beautiful cliffs that jet out onto the beach with an opening for the visitors to enjoy the other section of the beach. Sunset Beach was created using a photograph as a tool to capture the landscape of the beach. 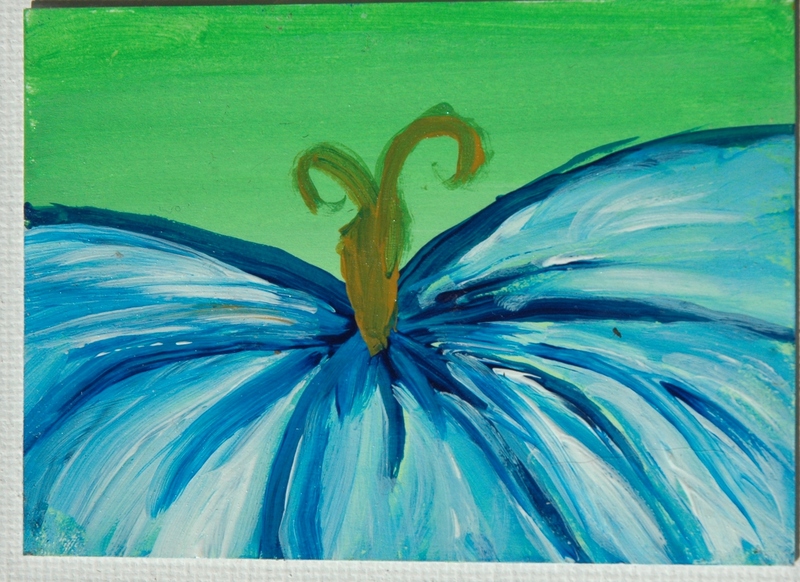 It is painting on a 10 inch wide by 8 inch tall canvas with acrylic paint. 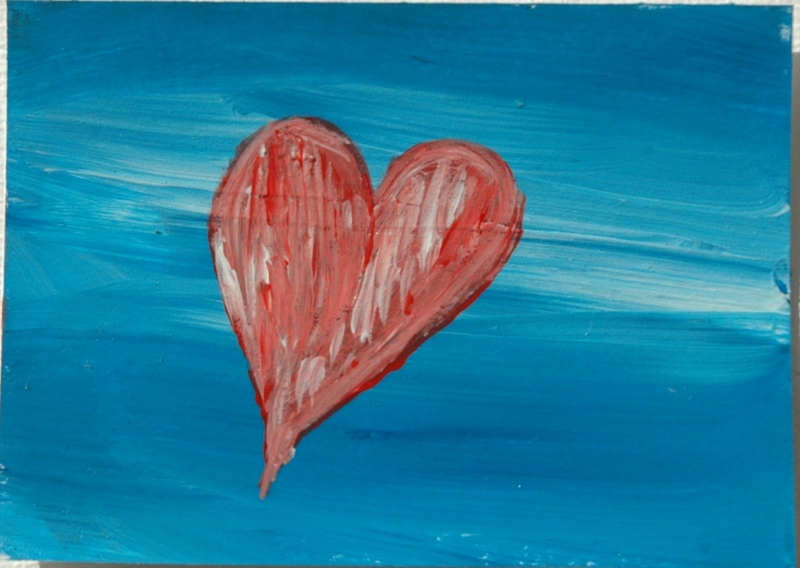 Both paintings are being auctioned on eBay. 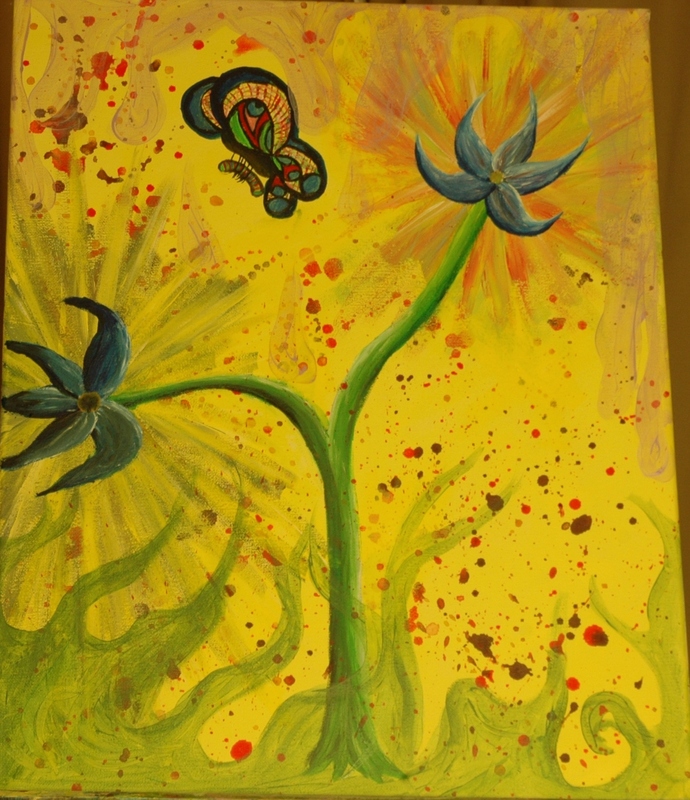 Split flower is a 20 inch by 16 inch acrylic painting on canvas which was completed early to mid 2013. It started simply with the butterfly trying to safe the caterpillar who was not ready to fly yet. 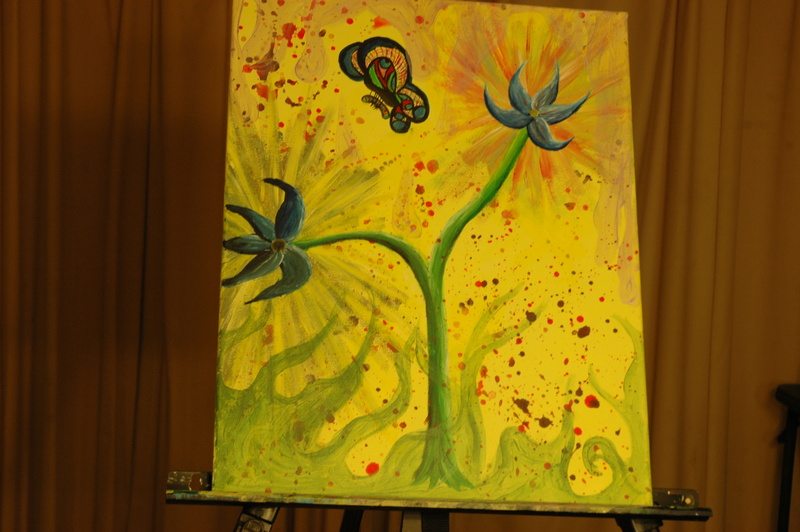 Through the painting process the plant with two different flowers started, which represent the two different feelings that were felt while trying to drag the caterpillar away. One flower reached upward for the light wanting to grow. The other reached sideways not wanting anything to really change. The painting was then bordered with nearly transparent light purple water on top and green fire on the bottom to add to the conflict. Today’s art is my first and(at this time) only painting set. Two Paths is two 11 inch by 14 inch acrylic paintings, both on canvas. They were completed in early 2013. These paintings are meant to be placed next to each other to create one art piece with a tree in the center of it. It symbolizes a choice that everyone has to make, at least once in their life. The choice is, what life do you want to live? Where do you want to live? This decision can shape your life and shape the person you become. In this painting this vast choice is broken down into two simple paths. One leads to a simple hut; a home in a meadow. The other path leads to a city in the far distance. I recently started to post and try to sell my paintings. 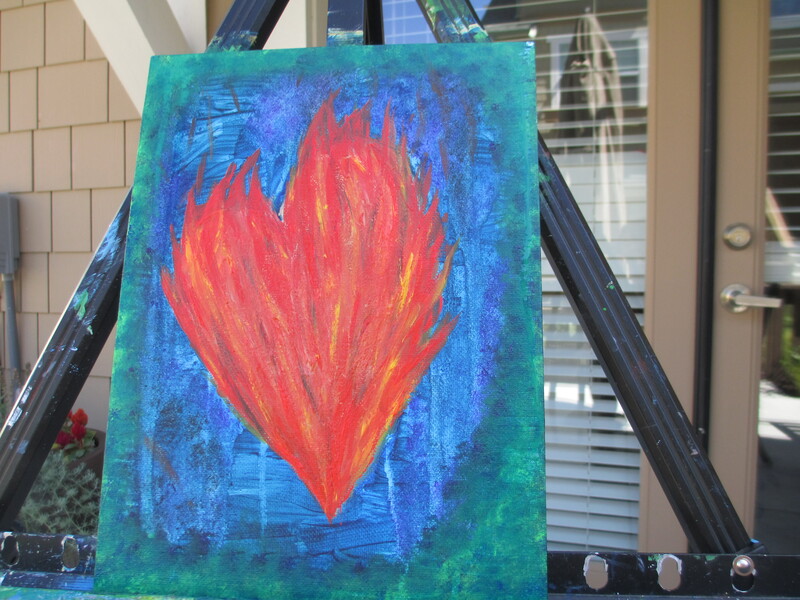 I realized that writing and painting are my passions and what I want my career to be in. 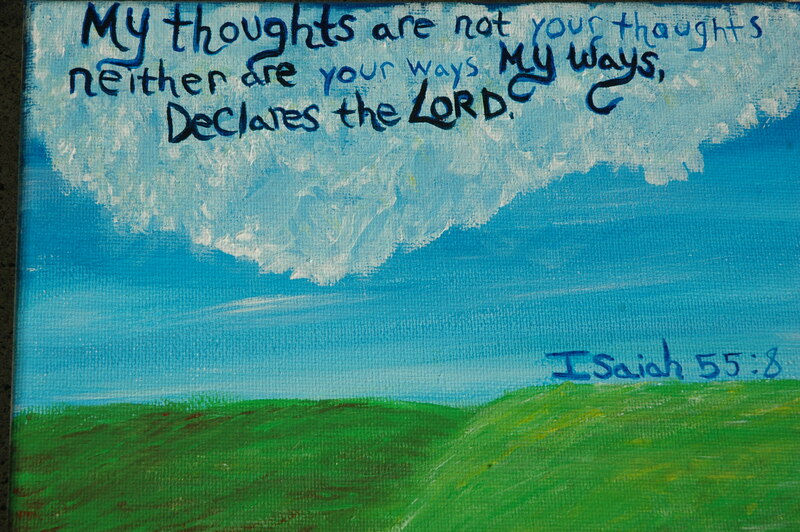 That is why I write and paint. I love both art forms, so much. 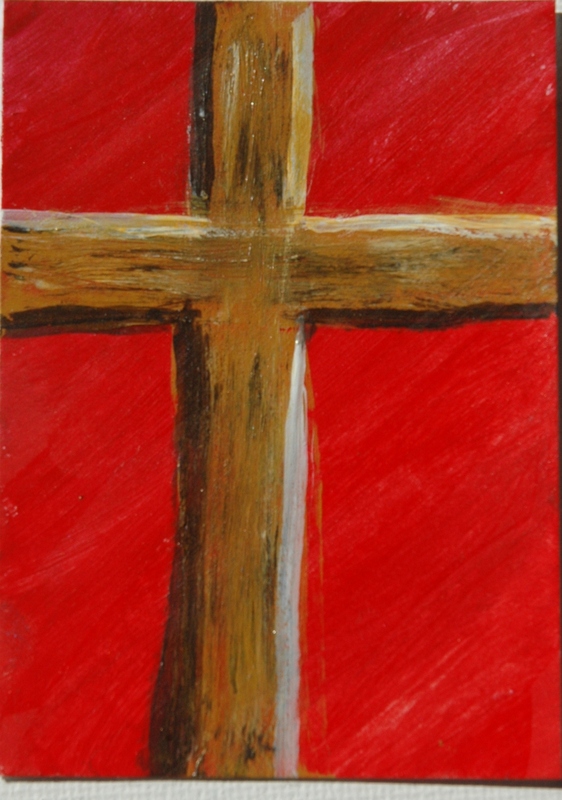 I have posted my paintings with their descriptions on my website. I figured I would start to post them here also, since they are one of my joys. 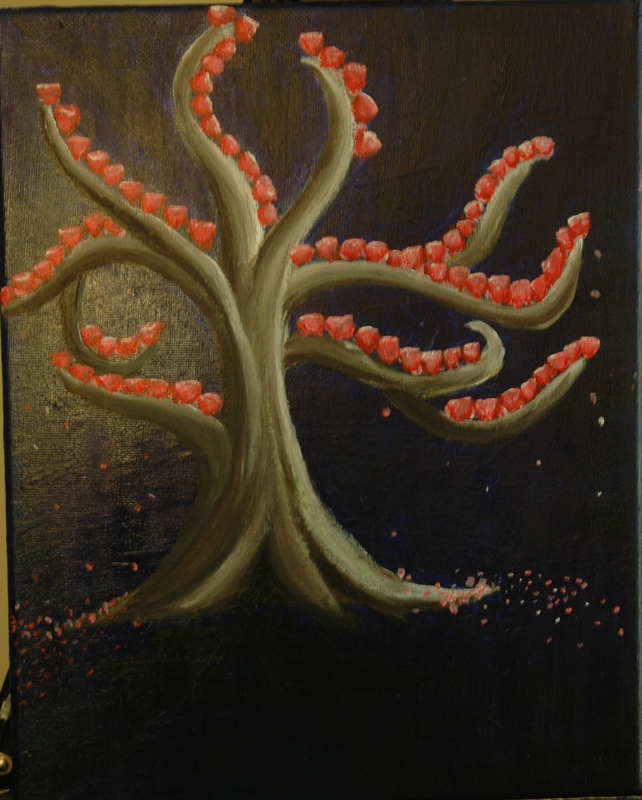 Solo Tree is a 14inch by 11inch acrylic painting on canvas, which was completed the later half of 2012. 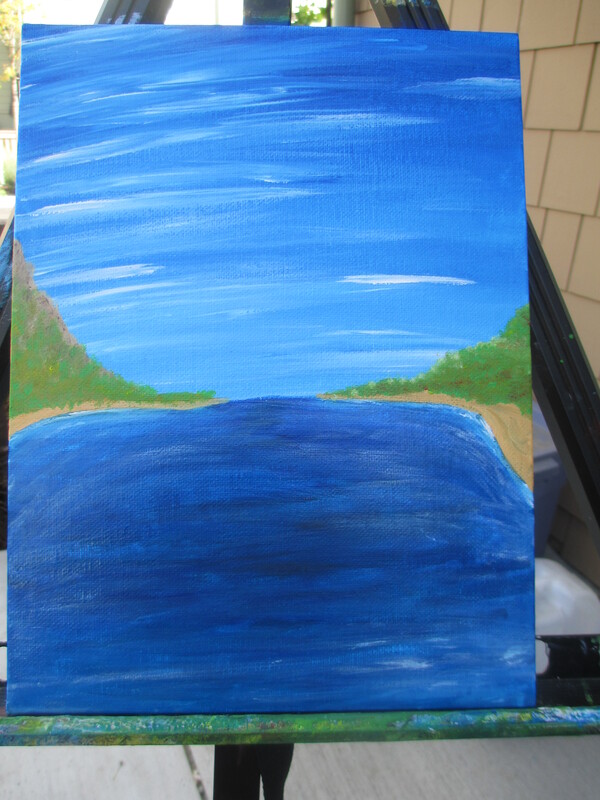 I painted this picture after moving back to my mother’s house on the East Coast from Santa Cruz California. I moved to reconnect to my family and friends who still lived on the East Coast, but found that the only connections I still had was my family. This isolation created a need for me to rediscover painting and through this need I painted this single tree. It has acted as a reminder that although all around may be dark, you can still choose to stand strong and bloom.